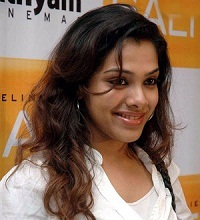 Actress Kadhal Sandhya was born into a Malayali family on 27th September 1986 in Kochi, Kerala state. She made her film debut with Tamil film Kaadhal in 2004 opposite Bharath, the film was a huge blockbuster hit, she won Filmfare Award for her performance in the movie. The film was such a huge hit that it was remade in Kannada as Cheluvina Chittara starring Ganesh, Amoolya and Komal Kumar and in Bengali as Chirodini Tumi Je Amar. 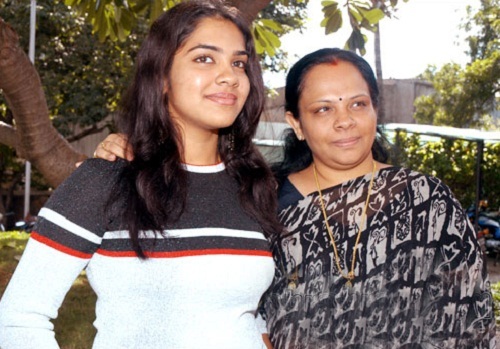 Subsequently Kadhal Sandhya appeared in numerous commercial hits like Annavaram co-starring Pawan Kalyan, Asin Thottumkal and Ashish Vidyarthi, Cycle co-starring Vineeth Sreenivasan, Vinu Mohan and Bhama, Aptharakshaka co-starring Vishnuvardhan, Vimala Raman, Bhavana and Lakshmi Gopalaswamy, Irumbukkottai Murattu Singam co-starring Lawrence Raghavendra, Padmapriya, Lakshmi Rai and Nassar, Traffic co-starring Kunchako Boban, Sreenivasan and Anoop Menon, Ya Ya co-starring Shiva and Santhanam, among other films. She was born to Ajith, IOB employee and Maya, a Beautician. She has an elder brother named Rahul.